New Zealand is seen as one of the most desirable places to visit in the world. 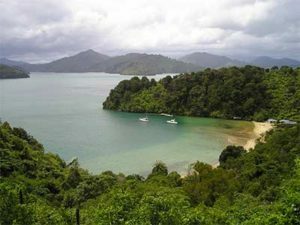 But one of the most common things which people want to know when planning a trip there is what the differences are between the North Island and South Island and what you can do where. Ideally you would want to visit both of them because they are quite distinct and have their own merits. So to help you choose where to go, what are the highlights of each island? The South Island has some of the most impressive scenery you are ever likely to witness anywhere. Being less sparsely populated than the Northern Island it boasts huge open spaces and the mountain range which runs down the spine of the island is seriously impressive. There are impressive glaciers to be seen, national parks, fiords and large rocky outcrops. Whilst the North Island boasts more volcano activity, the sheer scale and humbling qualities of the scenery to be witnessed in the South Island will not quickly be forgotten. Feeling like swimming with dolphins or seeing penguin colonies then the South Island is just your ticket. The unspoilt nature of much of the island means that there are a great number of wildlife spotting opportunities to be had. You can even take to the seas to go whale spotting if you wish. Whilst there may be less urban centres in the South Island, Christchurch has a great mix of history and contemporary culture to be experienced. It allows you to visit museums and offers fantastic places to eat and drink. 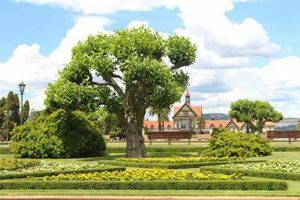 It is also famed for its Botanic Gardens which are a must see for any visitor to Christchurch. The Northern Island is much more populated than the South and as such has more urban areas. It is quite a diverse mix of cultures and you will find an exciting mixture of architecture, cuisines and histories. If you need more urban amenities on your travels then the Northern Island will be able to provide these for you much more than the South. The Northern Island allows you to view geysers, active volcanoes and natural hot pools. This is due to the tectonic activity which continues to affect New Zealand and particularly the North Island. Whilst you might not get the large open spaces which the South Island boasts the North Island makes up for this with such natural wonders as these. The temperatures in the North Island are much warmer and it experiences less rain than the South. This means that you can visit the beach or enjoy more outdoor activities than you would in the South particularly during the colder months. You can even enjoy the locally grown wine and places such as St Andrews Escape has luxury accommodation which is within easy reach of such vineyards.